It’s hard to believe that Warpaint have now been together for a decade but at least the quality control levels of their slim back catalogue have been maintained at a high level. Their thunder was in danger of being stolen by the not dissimilar-sounding Savages in recent times but their second album at least sees them share the throne, if not quite dislodging their “rivals”. ‘Intro’ presents a cinematic, eerie prelude for what is to follow and neatly segues into ‘Keep It Healthy’, where the cornerstones of Warpaint’s DNA: bone chilling vocals, intense post-punk rhythms and gothic splendour are all present and correct. Most of Warpaint’s best work is shot through with simmering tension. ‘Love Is To Die’ is a strong example, unravelling deliciously and ‘Hi’ ratchets up the drama and angst even further. 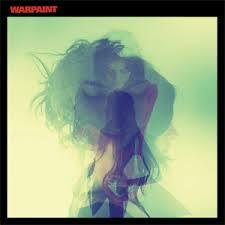 Warpaint also break out of their cool, gothic trappings on their second album. ‘Biggy’ is enjoyable outre pop, on ‘Son’ they resemble a haunted 60’s girl group and on ‘Disco/Very’ they create their own alternative club anthem which will definitely be the song which divides the band’s followers, not to mention the sight of seeing the band members “throwing shapes” in the skate park promo. That song is closer to M.I.A. than Savages but the sinister, edgy ‘CC’ and the trippy folk of ‘Son’ ensure normal order is restored. All credit to Warpaint for not sticking to their tried and tested approach, even though they could have produced a perfectly acceptable album by taking this route. 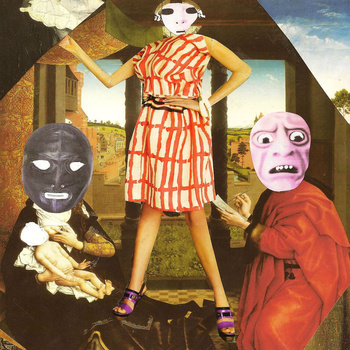 The album is forward-thinking and eclectic but the band never lose their distinctive ability to create music which is both infectious and insidious. The Will To Power hail from Winnipeg in Canada although their nearest comparisons would certainly be fellow synth pop/darkwave act Cold Cave from the US. There’s definitely that same sense of danceable doom running in this band’s DNA. You could be forgiven for thinking that there’s a recording fault on the opening track called ‘The Will To Power’, where one hears the aural equivalent of a swarm of insects. No matter, it’s brief and certainly gets your attention. Moving on to the first song, ‘Go On’ features great slabs of synths and beats and some nasally, digitised vocals. In a cold-hearted way it’s effective and thus a similar formula continues until the end of the EP. Based on its lively intro, ‘Live’ could be the prelude to a techno party but sure enough the euphoria is balanced by Will To Power’s sad monotone. ‘Tempt’ has a lot more substance, though, from the moment its pounding drum beats are heard; the synths are aching in parallel with the despairing vocals. The vital signs continue to be heard on ‘Cure’ where the contrast between danceable beats and downbeat vocals is a winning combination. Even if there is never too much cause for optimism on this release, the closing ‘Time’is an uplifting moment; so much so even the singing sounds like it’s been injected with a dose of positivity. 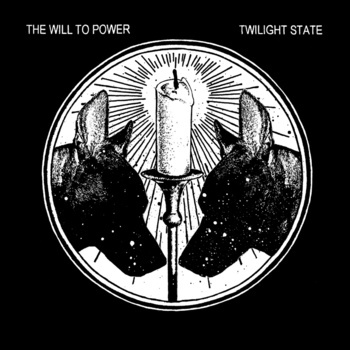 Bands who immediately make you think of another act are always going to suffer by comparison but ‘Twilight State’ sounds better the more you hear it, when even the somewhat undistinguished voices merge, or even drown, into the appealing machine-made layers. Overall, The Will To Power present a very agreeable take on the alternative club night. As members of Adorable and House Of Love respectively, Pete Fijakwoski and Terry Bickers know a thing or two about the ups and downs of life in a British indie rock band. Now they are joined together on what seems like a match made in heaven, or at the very least giving two jaded romantics the chance to bemoan surviving in the modern age. Right from the get-go, on ‘Out Of Time’ Fijakowski admits his helplessness in the world of “texts, e-mails and free downloads”, singing “I tend to see things in romantic views, rose-tinted hues” against Bickers’ ringing guitars. It has to be said, Fijakowski’s voice has matured wonderfully; a rich and sonorous instrument perfectly suited to the downbeat words he intones (although the switch on ‘Betty Ford’ from a Ray Davies croon to a strangulated feline is somewhat disconcerting). Bickers is the perfect foil for his lugubrious friend; offering some beautiful melodies too, especially so on the Richard Hawley-esque ‘Downsizing’ and the gorgeous solos on ‘Sound Of Love’ and he only hints at his illustrious past for a brief thunderous blast on ‘Breaking Up’. Yet the pick of the bunch is possibly the Spaghetti western-themed ‘Loved & Lost’; an epic, noirish, sprawl of a song. Granted, the duo sound as if they’re going through the motions a little as the album draws to a close but overall this is a triumphant return from two veterans of the indie scene; waving two finger salutes to their modern day equivalents. Deep down they’re happy being sad and this is exactly the kind of record men in their middle ages should be making. Single name artists are quite rare these days, possibly because someone has already claimed the name as their own. 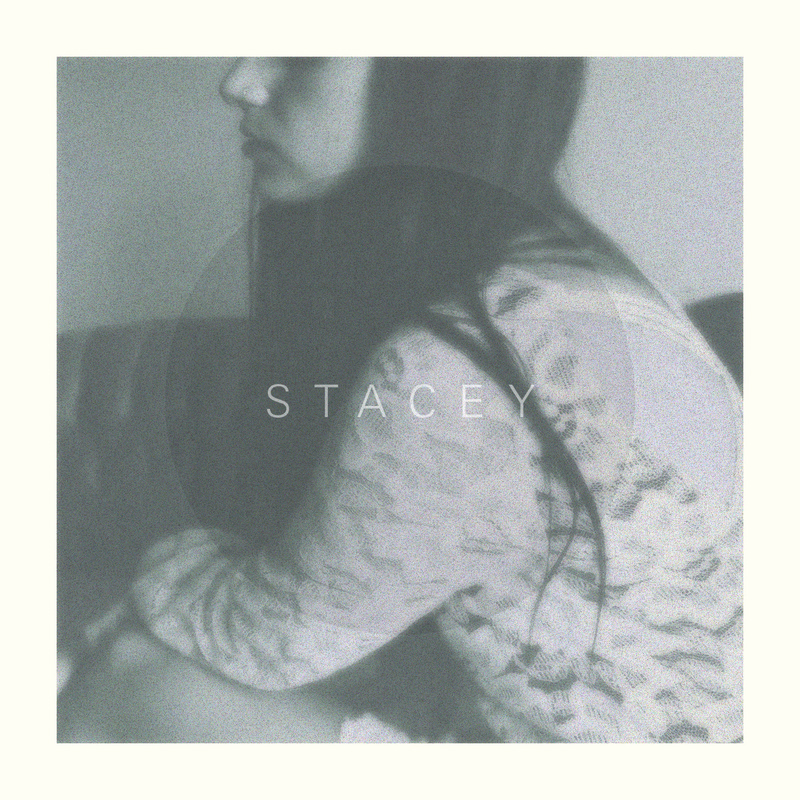 Since Stacey is a fairly common name, it’s surprising no one has thought of using the moniker before so perhaps that’s why this particular STACEY has emphasised the fact in capital letters. Of course none of this really matters since the stark, piano ballads of this young Toronto native are so powerful and moving, no one would dare take her name. ‘Worst Part’ is a lovelorn introduction, blessed by the performer’s haunting tones and desolate piano keys. When accompanied with lots of reverb, the simple but effective rhyme “Leave me wanting more, when you’re walking out the door, my jaw drops to the floor” echoes the despair to an even greater degree. In truth the other songs follow a very similar pattern and subject matter. A title such as ‘Sleep Alone’ tells of more romantic longing although the chorus has more in common with Beverley Craven than Lana Del Rey, her most likely role model. However, she loses those hints of MOR with an impassioned delivery for the yearning ‘Share’ and the desolate ‘Calling Me’. By the end of the EP, with ‘All To Myself’, the obsession with her love interest reaches its final desperate demands, proclaiming “God, I want you, want you. All to myself” over a simple, stabbing melody. It’s an arresting end to an already captivating EP. Obviously, she’ll need to broaden her palette to fill an album’s worth of songs but the material here certainly carries an abundance of emotional weight. 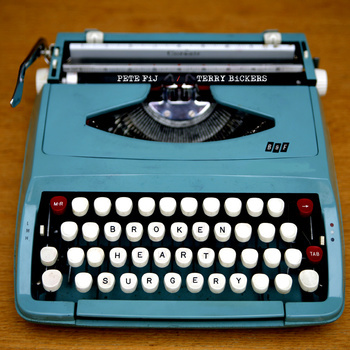 What is more, with her tales of heartbreak, STACEY really deserves those capital letters. The story behind Angels Die Hard is that the three core members were formed from a chance encounter which led to them “playing all night on found instruments in an abandoned snake pit”. The more prosaic truth seems to be that the three key participants are members of Belgium rockers Strumpets and this is their instrumental spin-off project. No matter, there are enough maddening noises here which makes their backstory seem pretty convincing. ‘A Blue Mamba’ begins this frenetic experience with a stew of jungle sounds (marimba, congas and bone-chilling murmuring) and a couple of quiet moments set aside for some pastorally-flavoured flute melodies. It’s an unusual and weirdly attractive start and the mixture is even more compelling on ‘Angel Ride’ where the rhythms and squalling guitars serve up a mighty, intoxicating brew. Inspired by a fine post-punk arrangement (not unlike 23 Skidoo) and theremin exploitation, ‘A Walk In The Black Forest’ is shot through with anger and intensity and is another highlight on a dangerously inventive first half. In a somewhat less stirring second half, ‘Fruhstuckstelle’ settles into a tidy Krautrock groove but nine minutes of it seems a bit much. However, ‘Angels Across The Pacific’ and ‘Tropical Hibernation’ recovers some of the tight, controlled aggression so prevalent on the first four tracks. In some ways, ‘Angels Die Hard’ sounds like an extended jam session with all members playing their instruments with freedom and wild abandon. Yet there’s always strong musicianship in evidence and the dark, mysterious moods they evoke are most reminiscent of the forgotten Soul Jazz act, Sand. Ashley Reaks proved he was not a man to satisfy any mainstream audience with his last album, the excellent ‘Power Failure’. ‘Compassion Fatigue (1-8)’ is his most recent project and one which follows a pattern of the first track being written in key “A” and lasting one minute, then the next in key “B” for two minutes and so on. Reaks also promises “at least two songs about psychopaths” and – just like his last album – the results are more addictive than you might think. Unlike his former stint with 90’s band Younger Younger 28s though, Radio 1 are perhaps not on red alert for his latest endeavours. The title track jump starts the record with the familiar rubbery basslines and intense delivery which distinguished ‘Power Failure’ and then there’s a shift in gear and genre, as well as a note shift, for the new wave-style ‘The World The Dead Has Made For Us’. ‘Cold Body Pussycat’ twists The Archies’ ‘Sugar Sugar’ into a creepy, post-punk nursery rhyme (“Mummy, Mummy, Mummy. There’s a pain in my tummy. I’ve been eating pussycat off a cold body”) whereas ‘Wrong ‘Un’ mixes similarly madness-inspired words against a frenetic woodwind backing. All of this makes a suitably intense experience and we’re only ten minutes into the album. The “second half” flirts with Jah Wobble’s taste for World music with some strident, throbbing rhythms. Towards the end of the song, the regular Reaks’ collaborator, Maria Jardardottir, adds some wonderfully oddball improvised vocals too. Then, in another incongruous twist, ‘Street Cleaning’ references M’s ‘Pop Muzik’ but otherwise the prog-punk polyrhythms and Reaks’ unhinged delivery tend to dominate as they do on the ska-inflected and crudely-humorous ‘Joyless Joy’. So the only shock on final track ‘Disconnected’, is that the invention seems rather toned down and playful by comparison. ‘Compassion Fatigue (1-8)’ will be one the most challenging and original albums anyone could hear this year, or indeed any year. It isn’t quite as approachable or hook-heavy as ‘Power Failure’ but then you sense that Reaks is trying to detach himself from his potential “crap pop star” past as much as possible. Suffice to say, he has succeeded with some style. Even though it was ostensibly a folk album, teenager Raf Batchelor’s last album as Solo Project was so much more than that with the thirst for experimentation clearly coursing through his veins. If the follow-up focuses on a particular genre it would be electro pop. 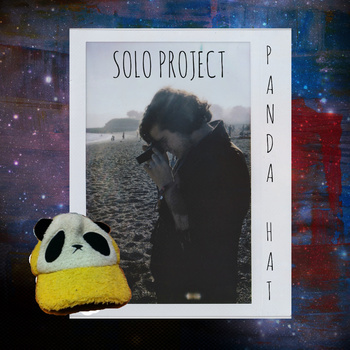 ‘Panda Hat’ begins rather incongruously with ‘March Of Modernity’ and its somewhat random collection of space-y beats, hip hop and Batchelor’s tremulous vocals. There’s a wonderfully rhythmic flow to ‘Cinamon Swirls’, emphasised by Batchelor’s impassioned falsetto whereas the throbbing electronics of ‘Devotion’ provide the perfect platform for the kind of soulful crooning which you would expect from someone twice Batchelor’s age. Elsewhere he projects great warmth on ‘All That Comes Before’, contrasting with the bruising and grungy ‘Mistakes’ and the proggy pop of ‘Guide Me’ proves that he can maintain interest on longer songs. It has to be said, quality control isn’t always maintained through the length of the album but Batchelor hits more than he misses and – lest we forget – he has yet to reach his twentieth birthday. In short, ‘Panda Hat’ is heartily recommended for those with a penchant for bedroom studio pop with wayward yet soulful vocals.